As the second Apple event this fall, the Cupertino-company will likely use the smaller, home court stage to debut updates to its iPad and Mac lines. We’re expecting new versions of the iPad Air and the iPad mini. The new Air will be slightly thinner, but come with a more efficient (and slightly snappier) A8 processor, new M8 chip from the iPhone 6, Touch ID, enhanced camera features, an improved screen design, and, of course, a gold color option. It’s likely that the new Mini will pick up some (if not all) of the Air’s new features. Hopefully at least the gold. 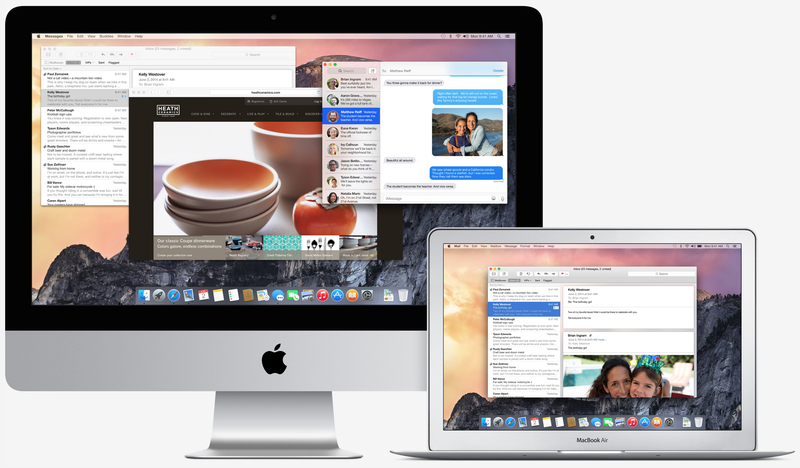 On the Mac side, Apple has a slew of new hardware and software updates to discuss. As we reported in July, Apple has been racing to finish up the redesigned OS X Yosemite alongside new laptops and desktops with higher-resolution screens. It’s likely that Yosemite will be released for free on the Mac App Store on the day of the event, as this will follow patterns of previous years. In terms of hardware, sources say that Apple is preparing both a new iMac and a 12-inch MacBook with Retina displays. The latest indicators point to, at least, the MacBook being short on supply, so perhaps the MacBook discussion will be saved for a later date. Another Mac potentially to be updated next week: the Mac mini. Given that Apple always promotes hardware, software, and services as a trio, there will also likely be plenty of talk at the event of new applications and various services. Apple Pay is launching on the iPhone 6 and iPhone 6 Plus this month with iOS 8.1, so it seems fitting for Apple to disclose final details and launch information on that front during the event. Other odds and ends include the possibility of a new split-screen multitasking mode for the new iPads, updated iWork and iLife apps for OS X Yosemite, and that redesigned iTunes 12 app for the Mac. Maybe, if we’re lucky, we’ll also get some new details on the 2015 Apple Watch and new Mac Photos app launches.